The plane of today is North American F 107. The North American F-107 was North American Aviation’s entry in a United States Air Force tactical fighter-bomber design competition of the 1950s. 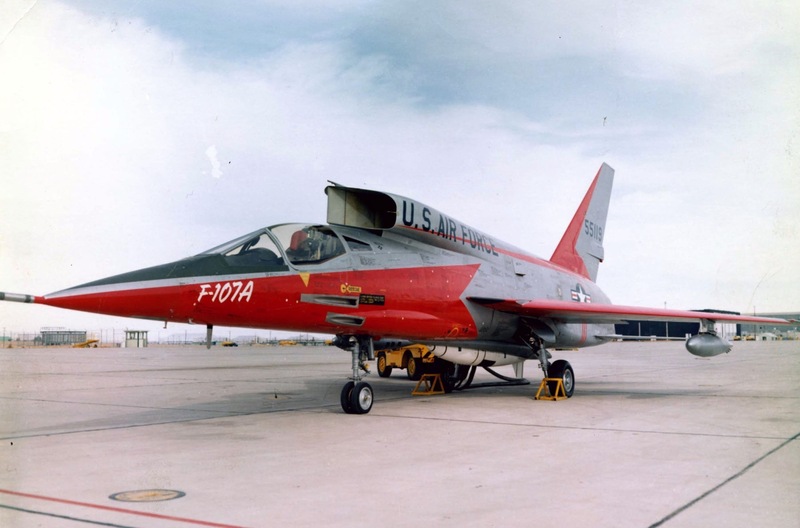 The F-107 was based on the F-100 Super Sabre, but included many innovations and radical design features, notably the over-fuselage air intakes. The competition was eventually won by the F-105 Thunderchief, and the F-107 prototypes ended their lives as test aircraft. This is a supersonic fighter aircraft, the mach number is up to 2. And as we can see, it really has a very unique design, like the intakes is up on the top of the plane. This design is very interesting, but not very helpful that the intakes increase the drag during the flight.